It's the winter of 1981 in New York City. As the title would suggest, writer/director J.C. Chandor's A Most Violent Year reflects this era's boiling point of turbulence and crime. Oscar Issac plays an ambitious and righteous businessman strugging to protect his family and interests amidst a culture of corruption and turmoil. It's a captivating, slow-moving character piece and tale of constant struggle. Chandor makes deliberately melodramatic choices to ratchet the escalating tension and sense of dread in the film as Isaac's well-meaning Abel tries to remedy his increasing financial and legal troubles in order procure prosperity. His decisions in the face of aggression feel less dramatic, but the way Chandor handles the mood and story prove far more interesting choices by making the film heavily reliant on its impeccable cast and fine acting. Jessica Chastain as Abel's strong wife, a Lady MacBeth/femme fatale type, is the film's wild card. Her past and lesser known motivations add to the film's building fatalism and feeling of impeding doom. Furthering the sublime acting talents are Albert Brooks as their wise lawyer and David Oyelowo as the opposing district attorney looking to clean up corruption and advance his own career. Every performance and aspect of the film helps to culminate and question the high cost of getting what we want and holding onto it. 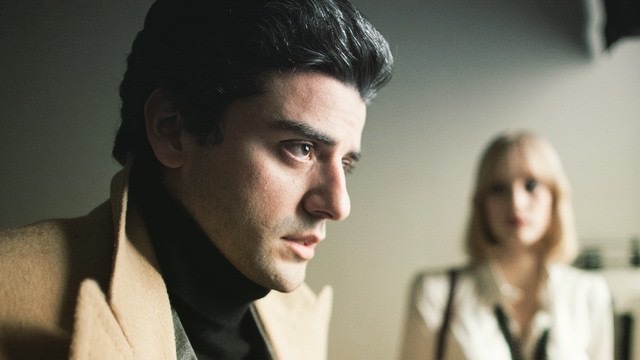 A Most Violent Year is a powerful, abstract story of not achieving but keeping and maintaining the American dream without corrupting your morals once you attain it. Isaac's subtle, bristling performance mixed with his and Chastain's restrained yet affecting relationship anchor the film's themes well. Chandor continues to prove his diversely engaging skills as an established and intriguing filmmaker after Margin Call and All is Lost.